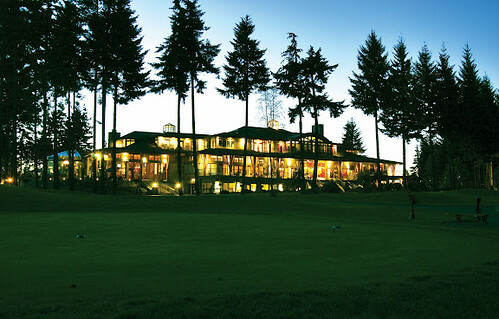 Long before it overlooked the Comox Valley, Crown Isle Golf Resort was expected to redefine luxury in the once-sleepy community. Since 1992, Crown Isle has expanded into one of Vancouver Island’s foremost golf resorts and was recently dubbed by Golf Course Magazine as the Most Romantic Resort in Western Canada. 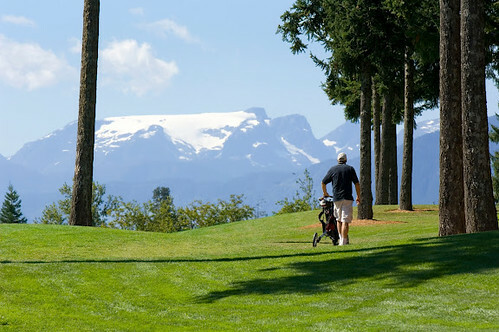 Boasting a perfectly manicured 18-hole championship course, the emerald fairways greet golfing enthusiasts of all levels with unparalleled views of the Comox Valley and its namesake glacier. Steps away, the guest resort itself is something to behold. Featuring two exclusive dining options, a spectacular clubhouse, fitness centre, a must-see classic car museum and 90 stunning guest villa suites, the resort hotel will exceed all of its visitors’ expectations. Photo: © Crown Isle Golf Resort – Prize accommodation may not be exactly as illustrated. Crown Isle Golf Resort has offered one very lucky Keira-Anne.com reader the chance to win one night’s accommodation at Crown Isle in a classic jacuzzi villa. The ultra-luxe villa suites offer all the comforts one might expect in such a resort, including TVs and DVD players, gas fireplaces, deep jacuzzi tubs, heavenly beds and some with kitchenettes. There’s more to this prize than what’s before your eyes. 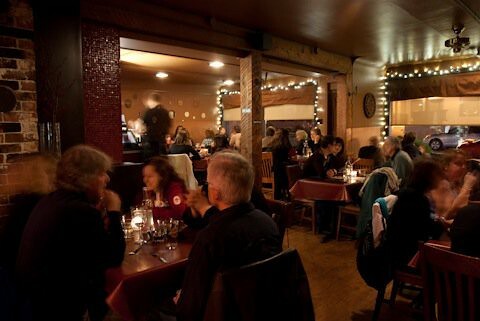 If Crown Isle is the place to stay in the Comox Valley, then Atlas Café is the place to eat. What started as a quaint spot to grab a cup of tea in 1995 has transformed into a culinary lover’s dream. Creating unique and inspired dishes at all times of the day is what has allowed Atlas Café has become a favourite of locals and tourists alike. 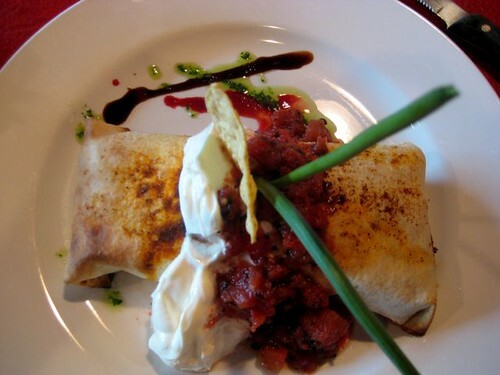 Much of what they serve at this intimate eatery is sourced from the Island’s beautiful abundance of fresh food, and their menu caters to every and any appetite! The total prize is valued at $319. I will draw one winner at random at noon on Monday, February 13th. The winner will be notified by e-mail. Winner must be 19 years of age or older. Winner cannot have won a contest on Keira-Anne.com within the last six months. This prize is not transferrable and is of no monetary value. Keira-Anne.com nor its affiliates or the contest prize sponsors are responsible for transportation to, from or within the Comox Valley. Keira-Anne.com nor its affiliates or the contest prize sponsors bear any responsibility to the winner, the collection of the prize and/or the use of the prize gift certificates. Great contest!! I would like to escape the winter blues with my boyfriend. Always wanted to go to Crown Isle. A girls weekend away full of golf would be ideal! not to mention a great stagette for the budding amateur golfer and foodies in us Not to mention, we all really love the island and never get out that way nearly often enough. I would take my fiance for a romantic weekend away. The Crown Isle is gorgeous and it has been way too long since I have been the Atlas. I would definitely take my boyfriend for a romantic getaway! He’s been very patient and understanding since I’ve gone back to school part-time while working full-time – I think he deserves a treat! Oh this would definitely be a romantic getaway! How could it not in such a beautiful room and with such a fancy dinner??!! Definitely a girls weekend! We need some TLC from our jobs! My family is from the Comox Valley. I’d love to get away with my hubby and relax and do some adventuring at my old childhood haunts. And the grandparents are only an hour away, so we can drop off the kiddo and have our first romantic weekend in FOUR YEARS sans kiddo or pregnant belly! I would take my sister with me. I’ve had a rough year and she’s been there to help and support me every step of the way. My wife deserves a break, this would be perfect! Boyfriend Definetly! Would be nice to explore somewhere neither of us have been right here in BC! I would go with my husband! Romantic getaway! Pick me! Pick Me! PICK ME! PLEASE! I would love to take my daughter on a mother-daughter getaway to the luxurious Crown Isle for the weekend. She is graduating from UBC Sciences this year and this would be a fabulous graduation gift! Also its a great opportunity to improve on our golf game. I’d love to surprise my wife on a mini romantic getaway! I’d take my best friend! I’d love to get out of the land locked Prairies with my gal pals! Fore! 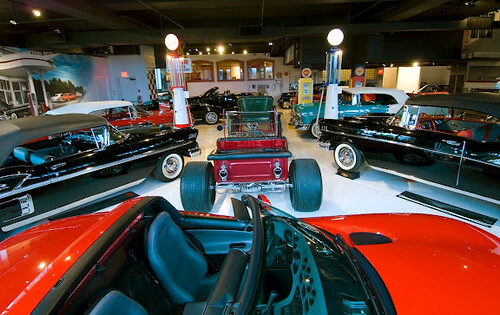 My husband and I are never able to afford to get away, this would be a wonderful anniversary gift. I would take my husband so we can have a mini-getaway. We got married last year and have not been able to take a honeymoon, so we would love to have at least a romantic weekend away to enjoy and celebrate our marriage! My husband and I love Crown Isle! Of course I would take him with me ! I would love to take my husband either before or after our April baby arrives! I’d take my fiance for a romantic night away! Would love to treat my wife to a getaway in the Comox Valley. She deserves to be spoiled a little, especially when looking after everyone else first. I would like to go with my hubby. We haven’t gone a trip since we had our son 10 months ago. I would love to get away with my hubby! I’d love to spend a weekend with my wonderful husband at the crown isle resort! My girlfriends 50th birthday is coming up on the 2nd of March. We would love to escape to the Comox Valley and Crown Isle to celebrate it there together. I would just love to win this prize! its my husband and I’s favourite resort on the Island and would be soo excited to win something like this Crowne Isleis the best resort on the Island by far! I’d love up get away with my boyfriend! I would love to win this prize and take my husband for a get-away! I would like to escape the city for a romantic getaway. Romance and some hiking (comox glacer, perhaps) are much needed! We’re overdue for a shopping spree in the Pro Shop! My husband and I are Crown Isles biggest fans, and we’re craving a round of golf!! I’d take my new hubby! I would take my boyfriend and we would have an, I think, well earned weekend away from the World! I have lived in British Columbia for almost four years and have yet to visit the Comox Valley – or many other renowned locations. I’d say, it’s about time! I’ve love to take my hubby! I retweeted, liked x 2 on Facebook! A visit away with my partner in crime. I would love to take my beautiful daughter Ashley away, and spend some quality time with her. Our lives seem to be so busy these days, and this would be fabulous. I’d love to get away from it all with my boyfriend, who was a rock of support during my latest round of grad school applications. I got accepted, and I’d love to celebrate with him! What a fabulous giveaway! I’d love a chance to visit the Comox Valley on a romantic getaway with hubby. I would love to take my fiance – our last trip over to the Comox Valley was a bit of a bust! I’d love to surprise my wife with a romantic mini-getaway. We’re been married since fall of 2010 but haven’t been able to go on our honeymoon yet, this would be much appreciated! I’d take my non-sexual life partner … a girls weekend would be fantastic. I would escape the winter blues with my finance to the Comox Valley since both of us has never been there. I will take my husband for some very well deserved r&r…! I wish the fiancee golfed. Maybe she needs to take up the sport? I’d take my husband so we could relax and explore the valley’s farms while visiting with my Mom. Girls weekend. Definitely. Gorgeous pictures. I would take my wife on this amazing trip! We would love to explore Comox Valley more. I “Like” Crown Isle Golf Resort on Facebook as well as Atlas Café on Facebook. I’d take my husband. We could certainly use some R & R in a lovely romantic setting. I would take my wonderful husband for a weekend getaway. Like all my getaways – it’s about family. Wife and kids would love this! Would love a nice romantic holiday with my husband. We haven’t been away alone in over 13 years & Crown Isle would be so awesome! Also LOVE the food at Atlas! — Liked Atlas Cafe on Facebook, can’t find on Twitter? So need to have a romantic escape from our reality! I would love to go on a getaway with my friend! Girls weekends are always the best! A romantic escape for sure. Loved growing up in Comox! Sounds like a fantastic weekend getaway for my beautiful wife and I.
I’d take my mom for her 60th birthday! I liked on FB as well! I just finished the high school teaching program at UVic and have a great group of girls who also just finished this program. It would be so great to have a girls weekend getaway together before we all take off to find jobs. I live in Victoria, and the Atlas is by far my favourite restaurant!! Who wanted to escape for a day. On the couple’s plans to get away! I would love to take my amazing husband away for a well-deserved relaxing getaway! Thank you for the opportunity! What an amazing retreat! Exactly the excuse for my boyfriend and I to get over to the island. We talk about wantting to go often, and all of the things that we’ll do and see. The time to slow down in such a beautiful location is just what we need. I would travel up to Comox with my husband and kids for a fun family getaway! We would probably plan a excursion to Mount Washington too :). Fingers crossed. What a fun trip this would be! I would love to go and surprise my amazing boyfriend with a romantic trip away from our busy lives. Vancouver Island never ceases to amaze me with it’s amazing surroundings! Although I would love to spend this weekend away with my husband I’d be more inclined to send him and his dad away for a father/son golf trip. Hy husband’s mom was diagnosed with multipe myeloma (blood and bone cancer) this year and it has been so hard on everyone. This would be a great get away for them to share. I would love to escape with my husband. We have a new baby and even if we had to bring him it would wonderful to get away from the day to day routine at home. Looks like a wonderful place to spend with a special someone. For me it would be my two favourite boys! My daughter is getting married in June and I’d love to have a weekend away with her before she moves out. I work with troubled youth and a weekend to just relax would be very welcome. Crown Isle is AMAZING. I just love it – Mike and I photographed a wedding there just a few weekends ago, so it would be great to go back, but this time with some wonderful lady friends! Hands down, I’d bring my husband! We could definitely use a little getaway and this resort looks amazing!! I recently got married and we had our reception at Crown Isle and just love the resort. The staff and chef made our wedding such a spectacular event. I would love to escape with my new husband to the amazing destination. OOooooOOoOOOoOh I would looooove this! I think I might even take my mother! I would love to win this getaway! My husband works out of town and I am currently taking 7 courses at school. This would be a great way to spend some quality time together! I’d take my best friend, Brad. We both could really use a getaway since we both work on average 60 hours a week. I would take my mom for a 60th birthday getaway! Once I found her I would share this wonderful evening out with her. I would love to indulge in this getaway no matter as my husband is working in and out of town and is gone sometimes up to 3 weeks! I am at home with two kids under 5 and running my own business successfully and this getaway could be perfect for my husband and I during a window he is home! Would take the bf for sure….nice little romantic getaway We are in the midst of moving so it would be nice to relax! i would love to win this! never been there before. i’d take my husband. first night away from the kids in over a year would be nice!! Great contest! Would find a babysitter and take my wife for sure. It’s been too long since just the both of us went away somewhere.